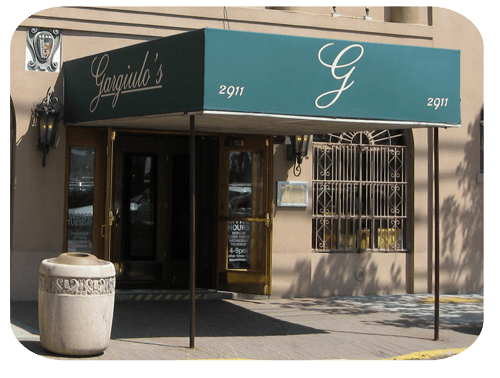 Gargiulo's is the classic Coney Island eatery and a personal favorite. It is conveniently located just a block from the Coney Island / Stillwell Avenue subway station, on 15th Street between Surf Avenue and Mermaid Avenue. Family-owned for decades, it's still very highly regarded by Brooklynites. I always get the porkchops but pretty much everything on the menu looks good. The service also is very hospitable. I can recommend stopping by. Depending on the day and time, attire can range from business casual to informal; shorts are allowed but no bathing suits or workout clothes. There is parking across the street and valet service available.